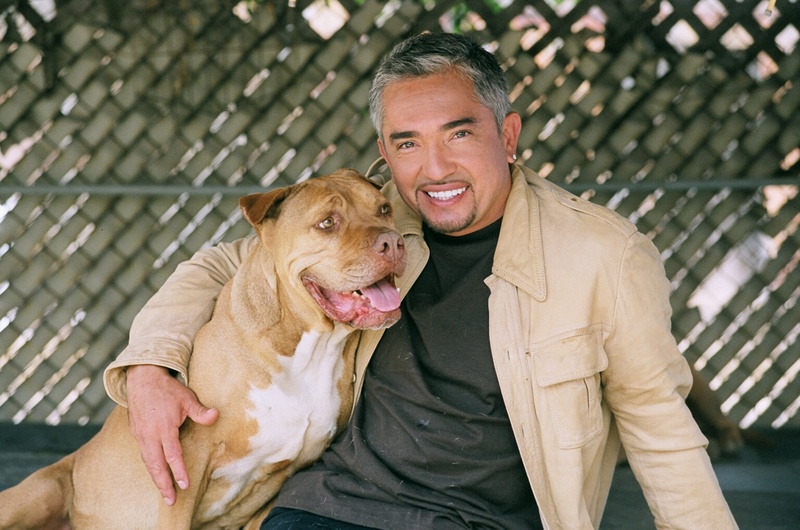 Dog Whisperer with Cesar Millan is a reality television series that features Cesar Millan's work with problem dogs. In the United States, the program airs exclusively on the Nat Geo WILD channel. The ninth and final season premiered on July 7, 2012. Episodes of "Dog Whisperer with Cesar Millan" feature guests’ problem dogs, introduced through documentary-style footage and an interview with the owners. Millan offers suggestions on how the owners can become their pet's "pack leader," consistent with the theory that dogs are pack animals. He uses behavior modification techniques and the philosophy that exercise, discipline and affection are required "in that order" for dogs to be healthy and balanced. The series premiered on September 13, 2004 on the National Geographic Channel in half-hour episodes and in 2005 was expanded to one hour and moved to prime time. In 2011, the series aired its seventh season broadcast in more than eighty countries worldwide. Produced by Sheila Emery and Kay Sumner in association with MPH Entertainment, Inc. the program has an estimated audience of 11 million American viewers per week. A number of entertainment-industry professionals have appeared on the program, including Virginia Madsen and Jada Pinkett Smith. Renowned dog behaviour expert and New York Times best-selling author Cesar Millan is one of the most sought-after specialists in the field of dog rehabilitation. Cesar has an uncanny gift for communicating with problem pooches, from timid great Danes to bullying Chihuahuas he sees the world through their eyes. His amazing rehabilitations of aggressive, scared, lazy, compulsive and jealous dogs and the families that are usually in the dark about how their own behaviour contributes to the dogs' quirky traits, captured the hearts of many. 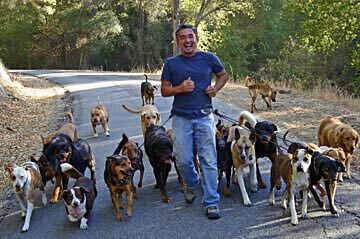 Each episode of The Dog Whisperer follows Cesar as he goes into the homes of dog owners without any prior information about the case and documents the remarkable transformations that take place under his calm, assertive guidance. Cesar travels around the US, from Miami to New York to Los Angeles, rehabilitating dogs, training owners and sharing his "exercise, discipline, affection" formula for balanced dogs. Cesar has also grown into a pop culture phenomenon, including parodies on "South Park" and "Saturday Night Live"; references on popular shows including "Jeopardy!" and appearances on "Oprah," "Tonight Show with Jay Leno" and "Today Show," as well as a cameo role for Cesar on the hit series "Ghost Whisperer." Cesar even has fans in outer space - NASA recently arranged for Cesar to speak via videoconference with his "biggest fan," Suni Williams, an astronaut aboard the International Space Station. At appearances throughout the US, Cesar draws sold-out crowds of fans and dogs ready to hear Cesar's signature "Tsst!" while learning from the master how to become a calm-assertive pack leader. 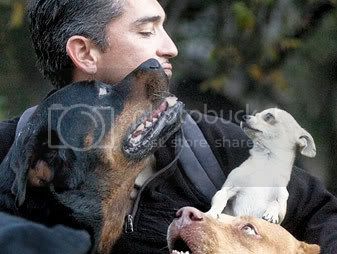 The 100th episode The Dog Whisperer will premiere early 2009 just before the highly anticipated release of Cesar's new book, "A Member of the Family," (Hodder and Stoughton, February 5th 2009) and the follow-up book to his previous best sellers "Cesar's Way" and "Be the Pack Leader." Cesar has more than 20 years of experience with canines. His unique talent with dogs first developed on his grandfather's farm in Mexico. Now, at his Dog Psychology Center in Los Angeles, he receives as many as 100 calls a week from owners desperate for help. By the time people call Cesar, they are confronting a crisis with their beloved pets. He is their emergency responder, and often the last resort for pets that might otherwise be put down or given away. Celebrities who now count themselves as satisfied customers include Will Smith and Jada Pinkett Smith, Patti LaBelle, Vin Diesel, Nicolas Cage, Scarlett Johannson, Hilary Duff, and movie director Ridley Scott. Cesar's methodology developed from his keen understanding of canine pack behaviour. Unique to Cesar's approach is his "Power of the Pack" method. Incredibly, his own pack of up to 50 dogs, which includes rottweilers, pit bulls and German shepherds, are able to live together harmoniously. Most dog trainers relate to one animal at a time, but Cesar often uses the pack itself as the natural social unit for canines to rehabilitate a wayward dog. Cesar was born in Culiacan, Mexico, during a hurricane that took the roof off the family's house. He spent much of his youth at his grandfather's ranch, growing up with a pack of dogs that were his closest friends. It was his grandfather who taught him the greatest lesson that he still lives by today: "Never work against Mother Nature." While he lived in Mexico, Cesar fondly remembers watching "Rin Tin Tin" and "Lassie" on TV, and he was so impressed by the ability of the television dog trainers that he decided to come to the United States to learn from them. Cesar's first job in the United States was as a dog groomer. His uncanny ability with dogs quickly became apparent to clients, who asked for help with their dogs' behaviour problems. Cesar lives in Southern California with his family his wife, Illusion, and two sons, Cesar Andre, 12 and Calvin Christian, 8 all of whom also help him in his work.